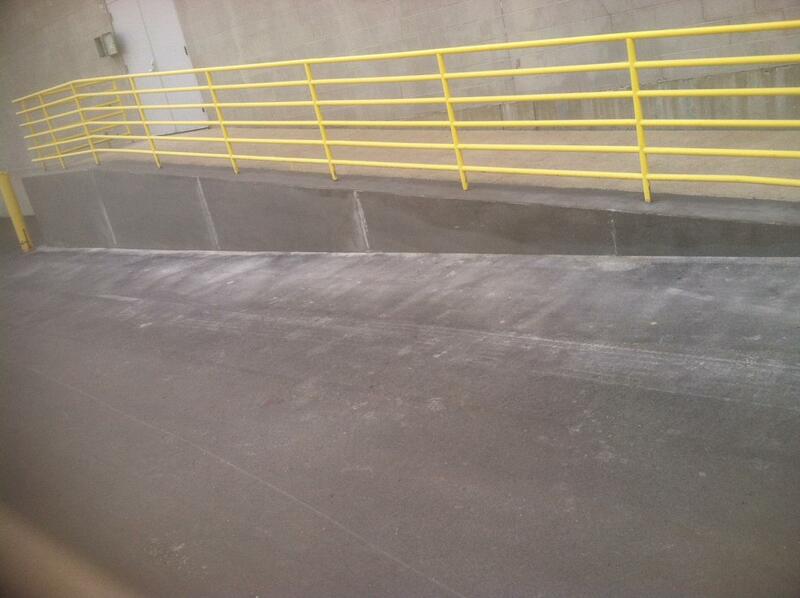 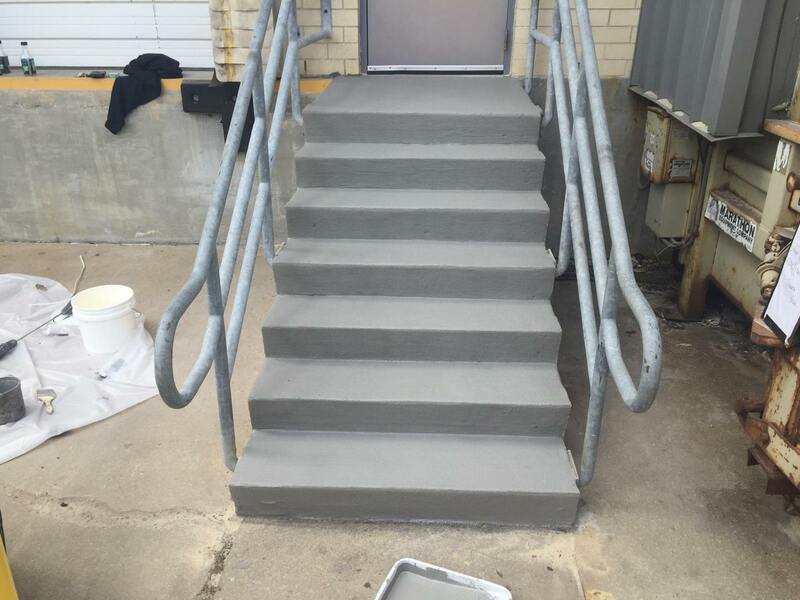 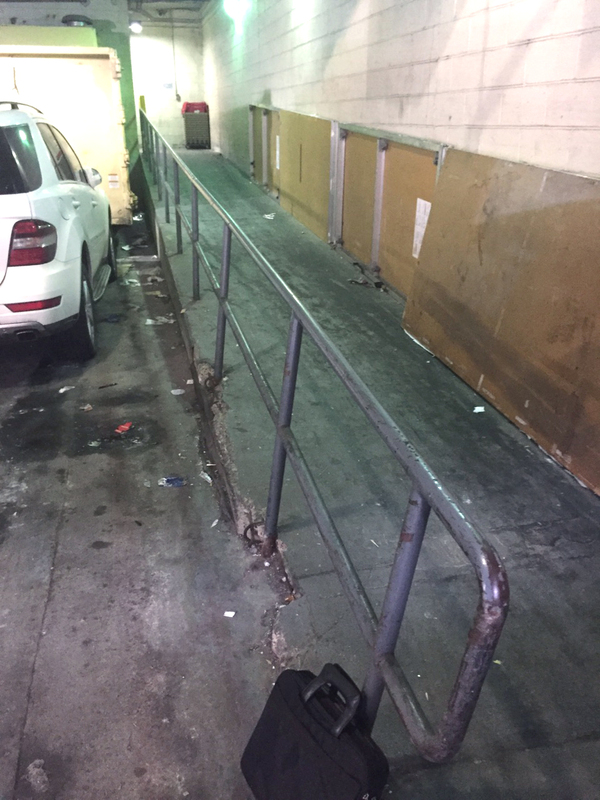 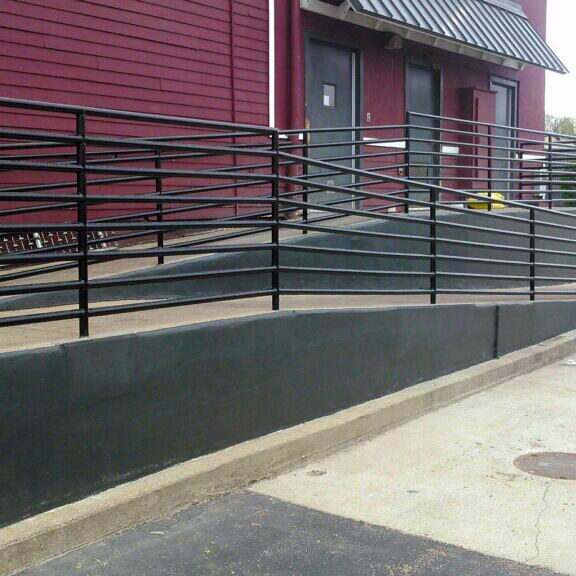 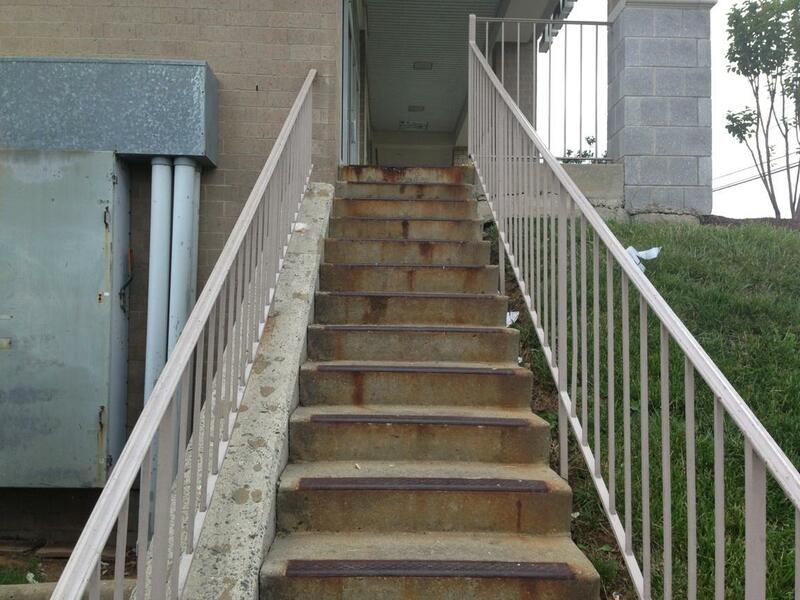 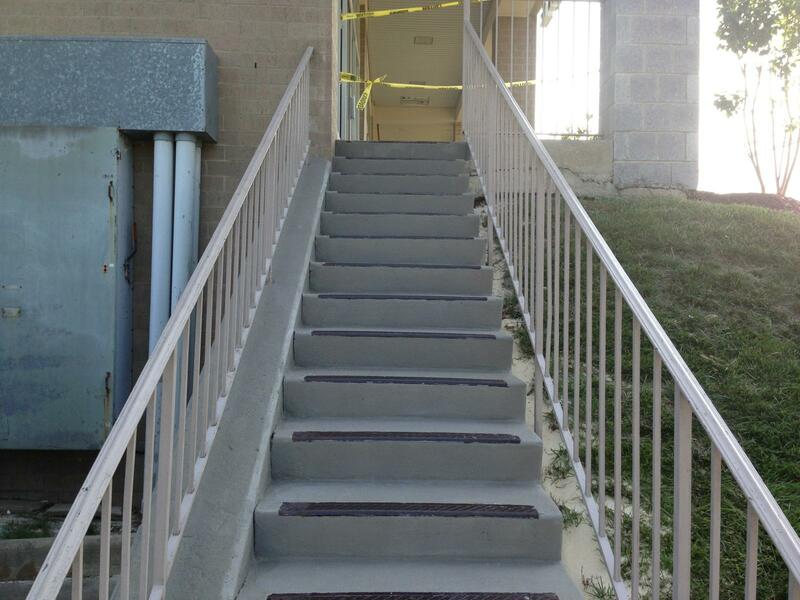 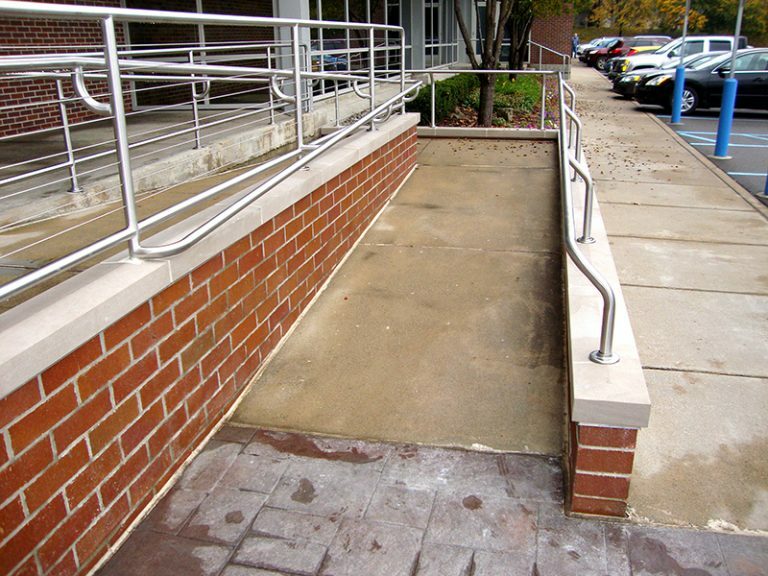 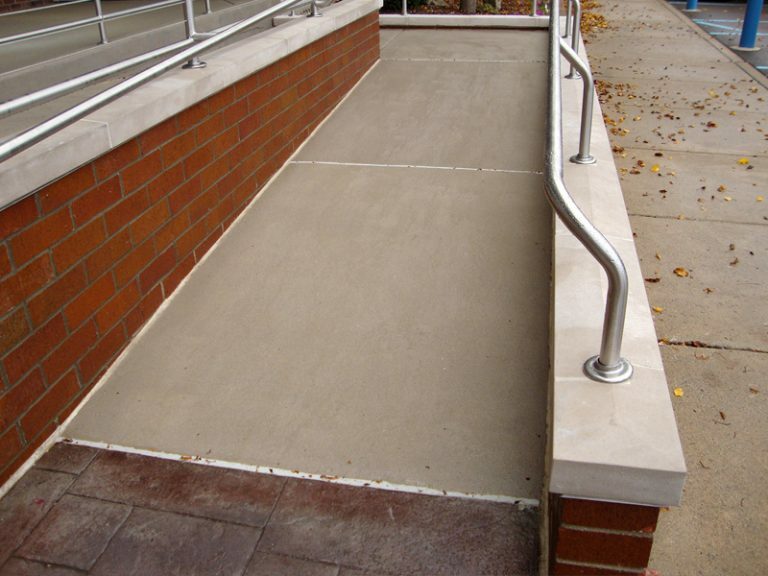 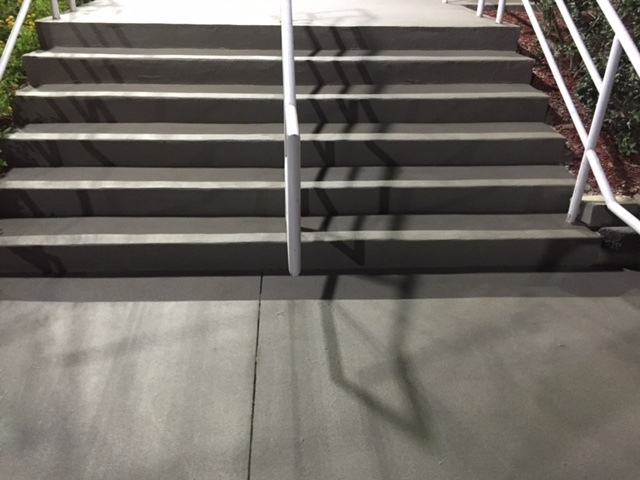 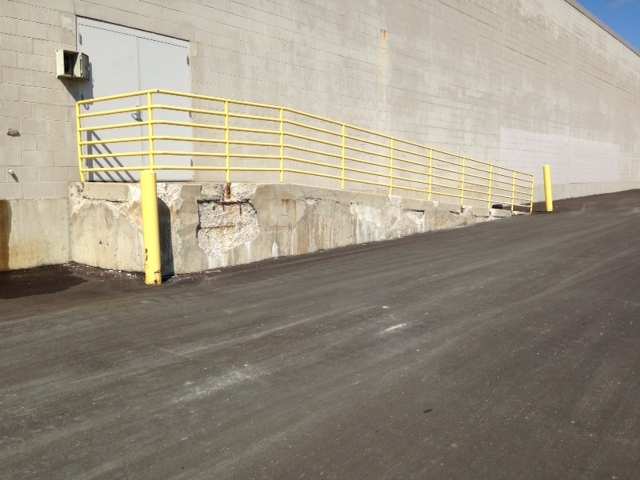 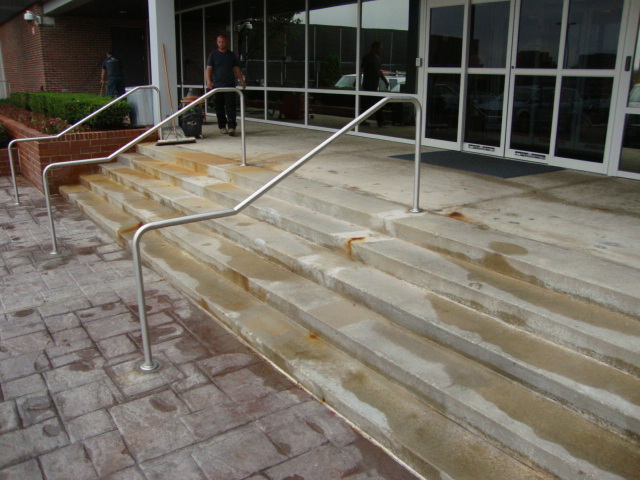 A complete concrete tear-out and replacement is not always necessary or workable, particularly in a heavy traffic area such as commercial or retail entryway steps and ramps. 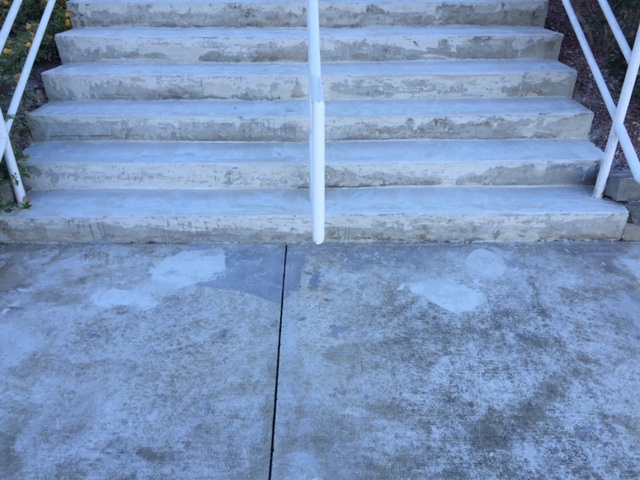 Oftentimes, an aged and weathered-looking entryway can be repaired and resurfaced in a much less-invasive way by using a concrete-alternative epoxy overlay. 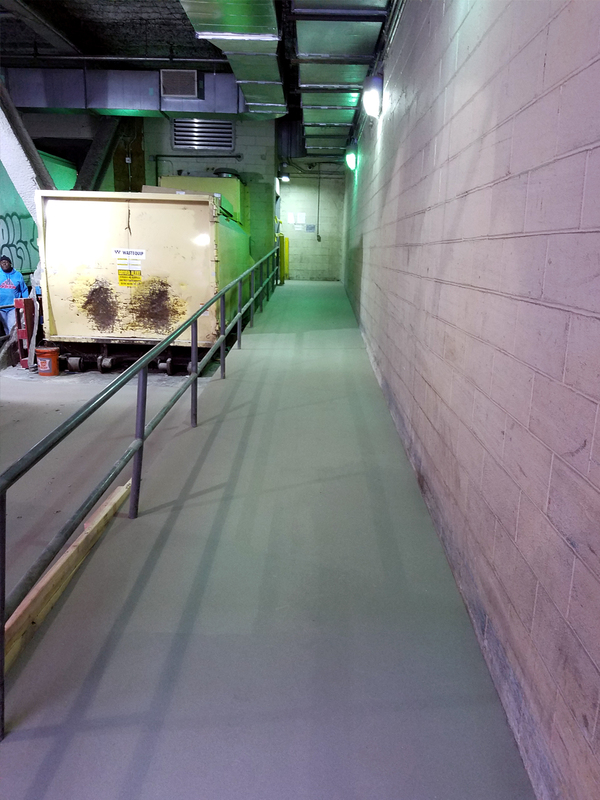 Phased repairs can allow foot traffic to be maintained into the building throughout the project with downtime and disruption minimized. 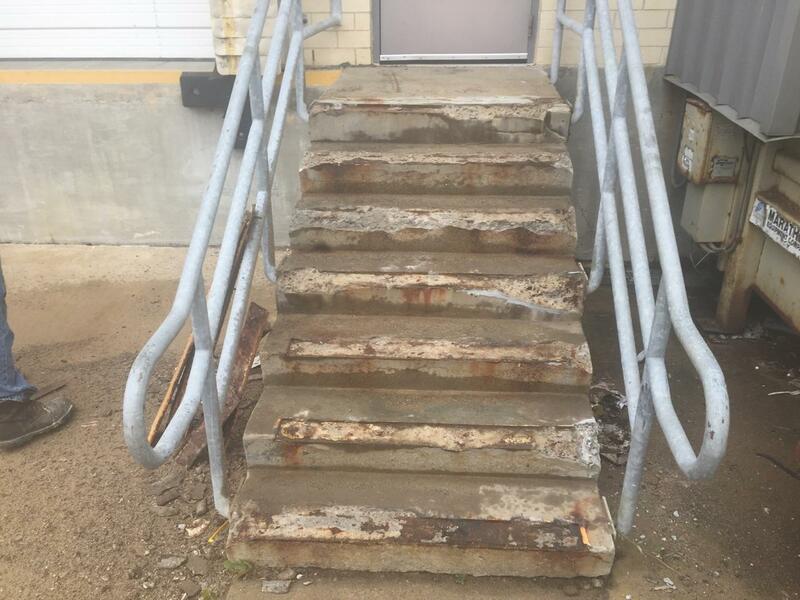 The entryway’s structural integrity can also be upgraded.